As much as I hate to see the end of fall, winter is coming. It actually snowed two weeks ago, which reminded me that my shoes had yet to be winterized. As a fan a suede shoes, I learned quickly that proper cleaning and waterproofing are the only ways to keep winter from killing my footwear. Every fall, I use these handy Kiwi leather clean and shine wipes (Amazon $4.49) so I have a clean, dust free shoe before lotioning to keep the leather soft and supple (with Kiwi Leather Lotion, Amazon $4.99 *) and waterproofing with Kiwi's new Universal Super Protector (Amazon $8.49, pictured) which works on all shoe materials**. For suede I use Kiwi Select Suede and Nubuck Cleaner (Amazon, $6.49) . (I try to remember to do this whole routine when I put my shoes away fro the summer, but it usually only happens with the really dirty ones.) 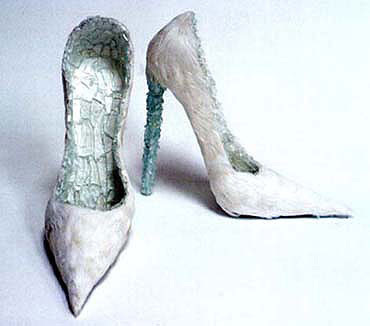 Jael Paris wrote about her shoe care process a few years ago. There is nothing worse than cold feet in the winter. 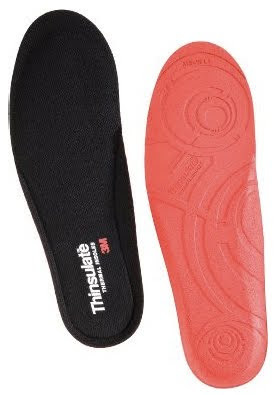 If an old pair of boots has worn down and no longer keeps your feet warm, Thinsulate makes insulating insoles ($11.99 a pair) to keep you warm without 4 pairs of socks. 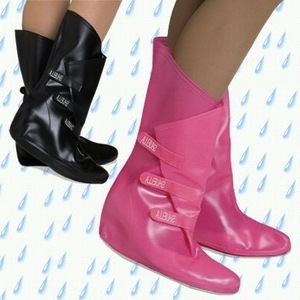 They'll also work for inexpensive boots that may be cute, but not so warm. Best of all, these insoles are sold by size so they're more likely to fit in your boots properly. I love to go for walks in the winter because it's the only time of year my allergies don't bother me. Unfortunately, falling on the ice bothers me very much. Thankfully, there are Get-A-Grip slip on traction spikes ($16.63, QVC), which are made out of rubber and have little spikes on the bottom to keep any flat shoes from sliding. It's like snow tires for your shoes. 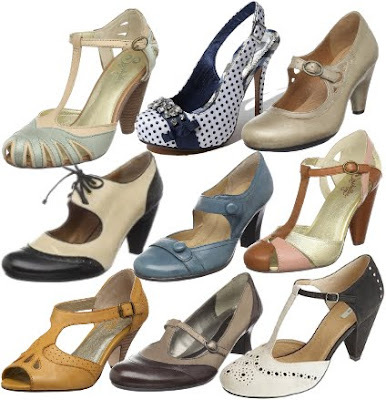 I found several European sites with a version for high heels, but couldn't find them here. For more heavy duty traction, LLBean sells Stabilicers for $19.95. If you want more protection for your heels during snowy (and the following rainy) season, we've written about Swims before, which are rather chic little golashes. However, the $95 price tag is a bit of a deterrent. 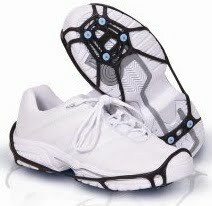 Shuella's a similar product (pictured) with more shoe coverage and adjust-ability, and they cost a slightly more manageable $45.95. *You can use Vaseline to lotion your shoes if you like, but I find the leather lotion works in a little better. Also, the Vaseline has changed the color of some of my shoes where the leather lotion hasn't. 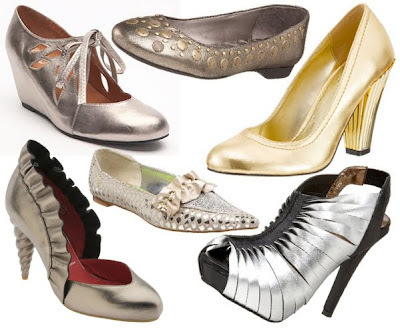 **If your shoes don't hold their shape well or get very soft when wet, considering using shoe forms inside them so they keep their shape when you spray them.